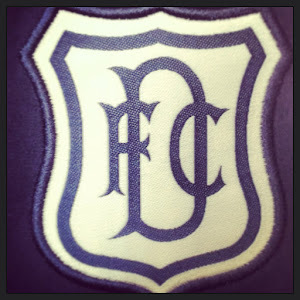 Dundee kept up their recent good form in the league going with a well earned 3-0 win over Livingston at Dens park on Saturday. They did not start greatly but as the game progressed their was only going to be one winner. Team wise Nicky Riley was on the bench along with Rhys Weston. So it was the same team as last week. Dundee took until the 18th minute to open the scoring when after a good move was ended when Rae found Ryan Conroy with a neat pass and the winger got the angle right and shot home with a superb finished. This set the tone of the game and only a couple of good saves from Livi keeper McNeil kept the eager Dundee attack out. Second half and Dundee attacked from the start and Livi looked dangerous on the break and Rab Douglas made a great save from a Fox lob, and soon after Deuchar should have scored but put his effort well over the bar to Dundee's relief. Dundee put Hyde and Riley on for Milne and McCluskey. It paid off soon after when a Riley cross was headed on by McKeown for Neil McGregor to chest home his first goal for the club. Soon after and it was 3-0 and game over a O'Donnell corner was headed home by Nicky Riley to seal the game and three points. Another good team performance with everyone playing well for each other, the only down point was sub Nicky Riley having to go off, he will miss the cup replay at Kilmarnock on Tuesday. 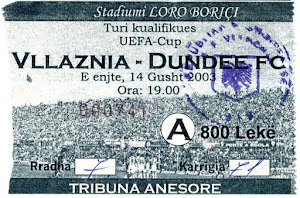 Dundee: Douglas,Irvine, McGregor, McKeown, Lockwood, McCluskey( Riley 69, (Bayne 87), Chisholm, O'Donnell, Conroy, Rae, Milne (Hyde 69). Subs Not Used: Gibson, Weston.